Wearables are no longer only used to monitor your fitness levels and receive smartphone notifications. Following last week’s report of a wristband that shocks you for spending too much money, another innovative device has been developed - one that can monitor the levels of alcohol in your blood. San Francisco-based company BACtrack already makes standard breathalyzers for police use and as consumer products. But rather than having to blow into the BACtrack Skyn, it detects blood alcohol levels from the sweat in your skin using fuel cell technology similar to that used by law enforcement. "The blood alcohol monitoring devices used in legal and medical circles are big and bulky, like a ball and chain for the ones using it," said Keith Nothacker, president of BACtrack. "We wanted to make something people would want to wear." BACtrack Skyn took the top prize at the National Institute of Health’s (NIH) Wearable Alcohol Biosensor challenge last week. The system beat eight other entries in the competition, which was judged on accuracy, winning $200,000 for BACtrack. One notable entry was a tattoo that changed colors called BioInk. BACtrack Skyn, which connects to a phone app via Bluetooth, won’t be able to replace standard breathalyzers as it takes 45 minutes for ethanol to be transmitted through the skin. But it can warn wearers if they’re consuming too much alcohol when driving, record drinking habits, and possibly help in the treatment of alcoholism by notifying family members and friends if it a detects alcohol in the system of someone who is trying to remain sober. While the system has not yet been submitted to the FDA for approval, BACtrack said it will be releasing a limited number of the devices toward the end of the year. 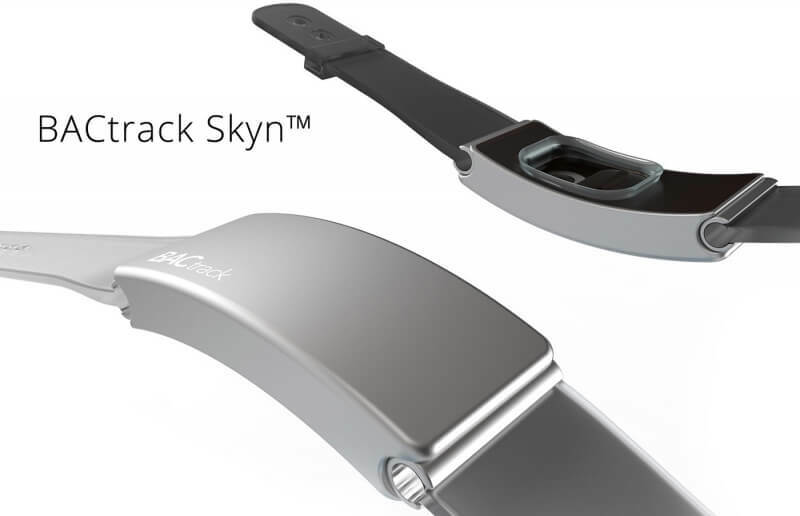 Anyone interest can sign up at the company's website to be notified when the BACtrack Skyn is available for pre-order.